With the growth of the internet came many social media websites, online streaming platforms and video-sharing sites such as YouTube. The latter is a video streaming and sharing outfit which offers a wide range of videos including clips on how to care for your hair, gaming videos, music videos, Autonomous Sensory Meridian Response (ASMR) videos and more. If you can name it, it is most likely on YouTube. These videos are available for perusal and cater to a plethora of tastes; it works primarily by people creating videos and then uploading them to the website, once your video has been uploaded, people can then come to watch said videos. Anyone can upload a video on YouTube, as long as they have an account there. This website was created in 2005 and by 2006, it was bought by Google, which then went into a partnership with content uploaders a year later. This partnership is the reason why YouTubers are some of the highest paid online earners in the world right now. Honestly, you’d be surprised to know how much the 10 highest paid YouTube stars in the world actually earn. The partnership is referred to as the YouTube Partnership Program (YPP) which makes it possible for channel owners and uploaders of videos on the site to generate revenue from their videos. Adverts are played before each video starts and they are paid for by the owners of the product being advertised. YouTube takes 45% of the money paid and gives the other 55% to the owners of the videos that the ads were played before. YouTube Partnership Program is not the only way by which YouTubers generate revenue from their videos; a YouTuber can run a sponsored video, which basically means that they can advertise the products of people who are trying to reach a certain audience. The larger your audience the higher the revenue you pull for the ads already on YouTube and sponsors. Google, the owners of the platform can also place videos on a program called the Google Preferred Program; this is a guide for advertisers to know which videos have the highest amount of views. Currently, it is estimated that YouTube has this partnership with over a million users and among these YouTubers, there are those who make millions annually. The list below are the names of the top 10 highest paid YouTube stars in the world. The list is ranked from the bottom to the top. At the bottom of this list with a whopping $14.5 million is Logan Paul. This YouTube star used to rule the world of YouTube with a subscriber count that is currently above 18 million. The American YouTubestar had his account taken off the Google Preferred Program after he put up an offensive video he made while on a trip to Japan on his channel. The video featured the corpse of a man who had committed suicide, garnering global criticism and calls to take him off the website. Although he apologized for his somewhat foolish and insensitive actions, he was still punished for his behaviour by YouTube. The punishment was meted out by taking his video of the off the Google Preferred Program. Brands he previously worked with withdrew their sponsorship and refused to be affiliated with him after his actions. His earning from YouTube took a hit; however, he is still waxing strong with the purchase of his merchandise by his fans. This nom de plume refers to a man called Felix Arvid Ulf Kjellberg. His videos consist mostly of material akin to games. He, just like Logan Paul, is laden with scandals surrounding racism and anti-Semitism. One of the sponsors he lost was Disney as they were supposed to sponsor his Revelmode Network. After the racist comments, they pulled their sponsorship, hence, bringing the show that was to premier to a halt. These scandals affected his stream of income with the video sharing and streaming site for a while but after the scandal blew over, his sponsors returned with a bang, helping him earn his place as one of the 10 highest paid YouTube stars in the world. Credible sources have claimed that he managed to bag a $450,000 deal with a brand while simultaneously increasing his income within a year; his earnings from YouTube is currently set at $15.5 million, he currently has the highest number of fans on YouTube with 73 million subscribers. This Swedish YouTube gamer has been influential in the sale of games worldwide, with a peak seen in the sales of games he had reviewed or played on his channel. Sean William McLoughlin holds the eighth position on this list with his $16 million. Unlike the previously mentioned YouTubers, he is not fraught with scandal and provides content that is mostly commentary on video games sprinkled with the occasional swear words. In his native country of Ireland, he is the most popular YouTuber. The name of the channel is a nickname he got while in high school and is now globally referred to with it. 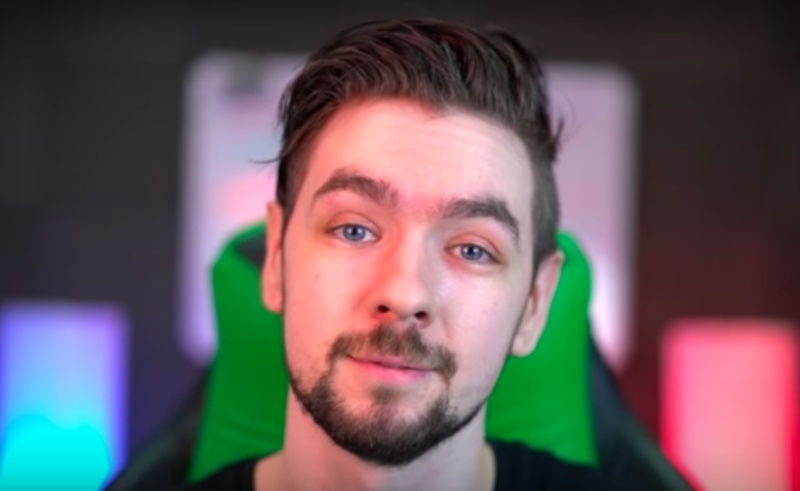 Jacksepticeye happened to be one of the YouTubers who were part of the Revelmode network and as a result of Pewdiepie’s comments, he was also affected by the action taken by Disney. He was however signed up for another show with Disney XD. Another gamer, Evan Fong, is on the list of top 10 highest paid YouTube stars in the world with $17 million to his name. This Canadian produces his videos in ways that are innovative and witty, barely making appearances on the screen but still manages to keep his 23.8 million subscribers engaged. Evan Fong has attempted to break into the music scene but a career in music has not been as successful as his career as a YouTuber. This YouTuber has accumulated $17.5 million for himself, with his content that is predominantly related to gaming. 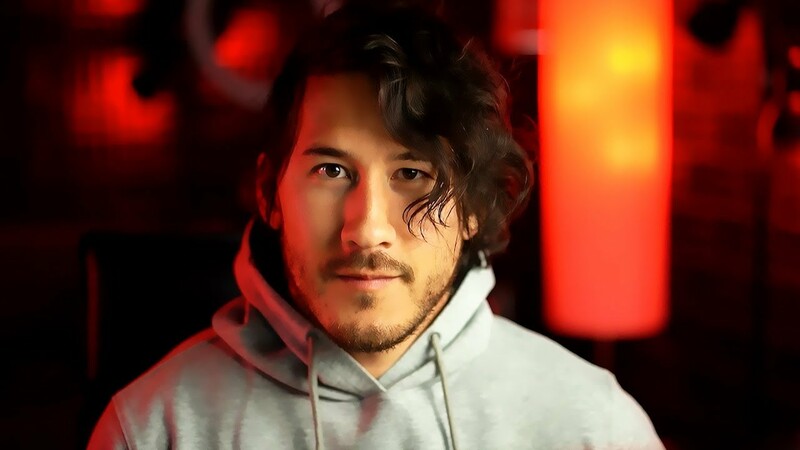 The Hawaiian native, born Mark Fischbach was a student of biomedical engineering before his life took various drastic turns and led to him creating a YouTube channel. His initial attempts at being a Youtuber was a test run for a career as a voice actor which inadvertently led to him posting videos on the website. He currently has 22 million subscribers to his channel and has signed various deals with brands to advertise their merchandise. He constantly collaborates with other YouTubers. Jeffree Star, born Jeffrey Lynn Steininger Jr, is no stranger to the fame that can come from the internet. His internet fame began prior to YouTube with a large fan base on MySpace where he was the most followed person. While on MySpace, he tried to push a music career but was not successful. His transition to YouTube as a master of make-up has earned him $18 million. 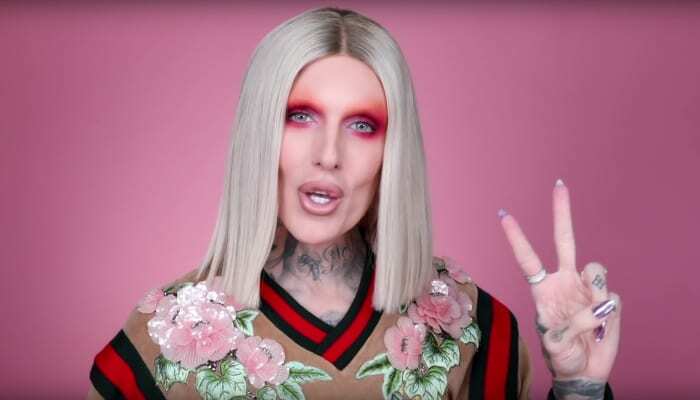 Following the creation of his YouTube Channel, he co-founded the make-up line; Jeffree Star Cosmetics which brings in $100 million annually from the sale of cosmetic and make-up products. Daniel Robert Middleton has made a name and a fortune for himself via YouTube with earnings that run into the nice fat sum of $18.5 million. This, he has done by streaming videos of him playing the sandbox game Minecraft for over five years. In one year, he made earnings of up to 2 million which increased his rankings on this list. This British gamer is not only active on YouTube but he bagged a role in the animated movie Ralph Breaks the Internet and a world tour which included four shows at the Sydney Opera house which all sold out. 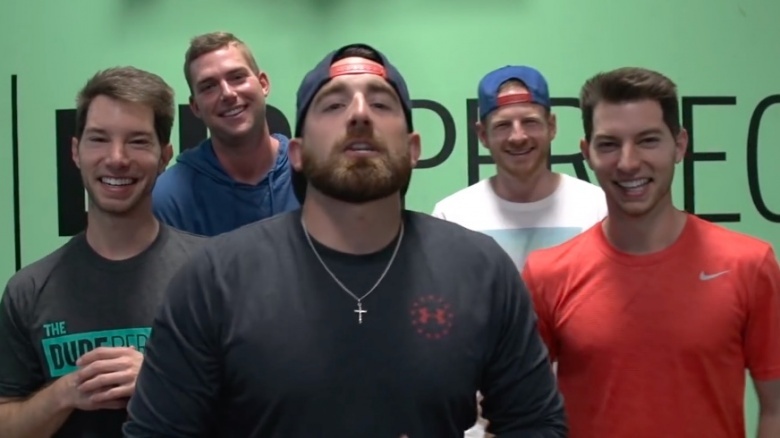 This is a YouTube channel run by five men; twin brothers – Cory and Coby Cotton, Garret Hilber, Cody Jones and Tyler Toney; collectively, they have earned $20 million. Their content mostly consists of achieving impossible and impractical sports tricks. Over the years, their videos have brought in over 170 million views. They have featured guest appearances from professional sports persona, some which include Drew Brees, Odell Beckham Jr., Dale Earnhardt Jr. and Chris Paul. Jake Paul is the younger brother to the disgraced Youtuber – Logan Paul, he sits comfortably on the position of second highest YouTube earner with earnings situated at $21.5 million. The origin of his online fame can be traced to Vine – a now-defunct social media network. Like his brother, he is prone to create pranks which is what makes up most of the content on his YouTube channel, as well as silly fun rap videos. All these serve as premium entertainment to his 5 million subscribers. With stats like these, you can understand why he made our list of highest paid Youtube stars in the world. At the top of this list is the youngest person on the list. This channel caters to children as the host – Ryan, alongside his twin sister and his parents review toys. He posts a video a day, with the help of his mother who quit her job as a Chemistry teacher at a secondary school to focus on the channel full-time. Right now, Ryan ToysReview has 17 million subscribers, 26 billion views and $22 million in earnings. Ryan also has a line of merchandise that sells at Wal-Mart, his videos have had a cultural and social impact as his videos – those with a high number of views in particular – affect the sales of the toys featured in the videos. His full identity and location have been kept from the general public by his parents in a bid to protect him.